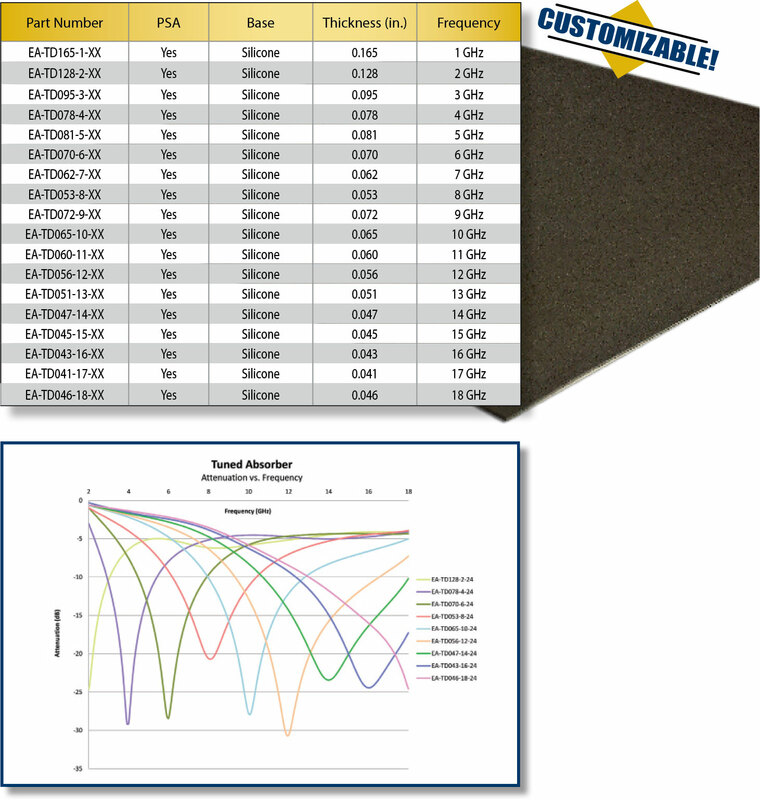 In addition to our off the shelf Tuned microwave absorber series (1-18 GHz), Leader Tech can customize absorbers for discrete frequencies (1.3 GHz, 6.5 GHz, 10.9 GHz, etc.) by modifying the thickness and formulation at no additional cost. 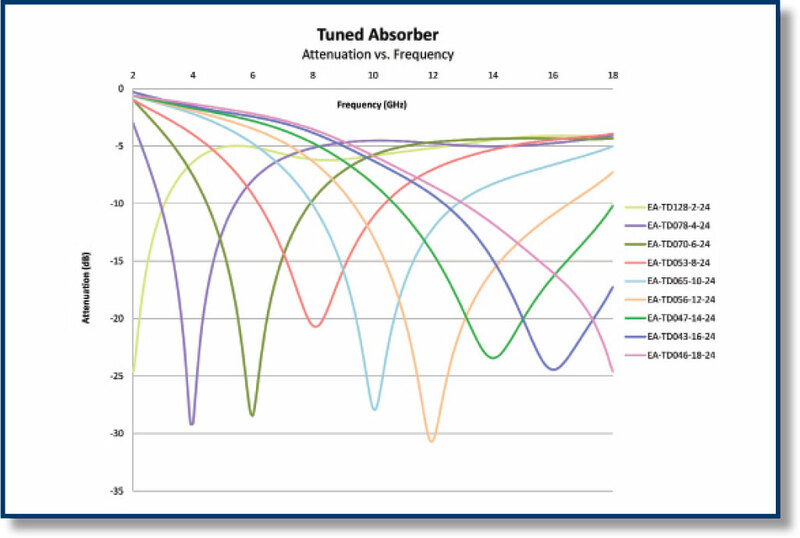 Tuned absorbers offer the highest amount of performance, providing an average of 20-30 dB of attenuation.